She seemed very knowledgeable. Was very direct with what she does well. I appreciate that. Also very thorough and was agreat listener. She seemed very knowledgeable. Was very direct with what she does well. I appreciate that. Also very thorough and was a great listener. From the moment I walked in I was greeted warmly, treated with respect, and people listened. Great staff from front desk,nursing, physician and ultra sound tech. Very happy! From the moment I walked in I was greeted warmly, treated with respect, and people listened. Great staff from front desk, nursing, physician and ultra sound tech. Very happy! 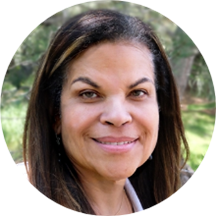 Dr. Asela Russell, the founder of Center for Women's Health, is a Board-certified OB/GYN. She has practiced in the Denver Metro area since 1987 and she opened the Center for Women's Health in 2003, after working with The OB/GYN Associates for more than 15 years. Dr. Russell attended Yale University and Duke Medical School and completed her OB-GYN Residency at the University of California-San Francisco. After completing her residency, she was a US Public Health Service provider working for the Navajo Nation in Arizona. Dr. Russell believes in medical care that weaves together the physical and holistic aspects of health. She has a special interest in women's hormone issues including menopause and polycystic ovary syndromes and how they impact women's lives. She is an accomplished minimally-invasive surgeon and performs both hospital and office procedures to treat excessive bleeding, pelvic support problems and other common women's conditions. In addition, she has delivered over 2000 babies! "I believe that participating in women's health care is the most important aspect of medicine," she says. "We are privileged to welcome new lives into the world and be a force for the health of future generation." Her interests include travel, creative writing and reading mystery novels. She speaks Spanish and French. Dr Russell is married and has two children. She's non-judgemental and sees the big picture, not just 1 thing. Loved meeting RuthAnn! Put me at ease straightaway and showed that she respected my concerns about my care. Dr. Russell was unavailable, but I was able to see Dr. Firzler. She was excellent... Thorough and informative. The staff was also professional and pleasant. Dr. Russell is warm and knowledgeable. She took the time to answer my questions and explained everything I needed to know. Dr. Russell was very personable and attentive. She was sincerely interested in what my concerns were and took the time to talk to me and provide me with options for treatment. Scheduling an appointment with her was somewhat difficult as shea very busy lady, but I think she was well worth the wait. I would highly recommend Dr. Russell. She was very helpful, empathetic, and easy to talk to. First of all, it's so convenient to be able to book appointments online. It was great to be able to fill out all the paperwork on my computer and send it electronically. When I arrived at the office, the office staffwas so nice! They took me back for my appointment right away! Dr. Russell came in right away as well! I loved everything about her! She is really wonderful!! I found my new doctor and would highly recommend her to anyone! Dr. Russell put me at ease! I'm feeling better about my upcoming surgery. Dr. Russell is an amazing medical professional. She was very informative and personable throughout my visit. Dr. Russell is exceptional!!! I have been seeing her for about 14 years and I would recommend her to anyone. She delivered both of my children and made the whole process smooth and I had a great experience. Once my daughteris of age I will be taking her to see Dr. Russell too. Actually, my 3 sisters and several of my nieces see her too. Thank you Dr. Russell for everything you do!!! She was very kind and informative! LOVE Dr. Russell. Such warm care and genuine interest in my health. Unfortunately, this same feeling is not delivered at the front desk (the first impression), where it feels cool, very process-y, and from the point of view of the staffmember ("I need your..." "check this to make sure accuracy..."), instead of from a service perspective, from the point of view of the patient and her needs. Also, GYN is so personal, but there is nothing private about the front desk. When you stand at the front desk, you are only a few feet from other waiting patients, and they can hear everything. The front desk person asks loudly "can you give a urine sample" and gives directions to the restroom in earshot of everyone else. And, when I arrived no one greeted me at first. I came to understand that one woman was training another, but if you are at the front desk, your patients expect to be acknowledged by you when walking in. Perhaps training can occur outside the view of the patients. If not for Dr. Russell being so FANTASTIC, I would question whether or not I would return. Great doctor and wonderful staff.